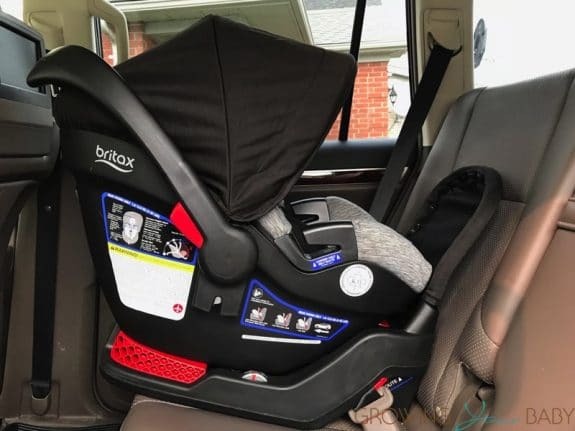 Britax has been a favorite car seat brand in our house for many years. 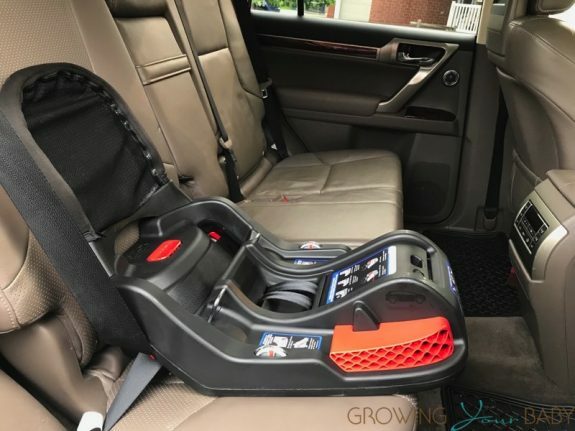 From birth to ~ 12 years they offer something to keep your kids safe while in the car. 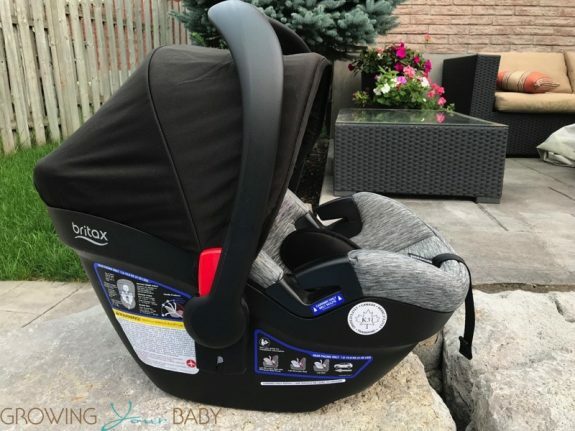 Debuted in November 2017 the Endeavours Infant Car Seat is their top options for parents looking to keep their baby safe. Britax has added some new features over their B-Safe line which make this seat safer, and more convenient for parents. We have been reviewing this seat for quite some time and love its versatility and ease of use. 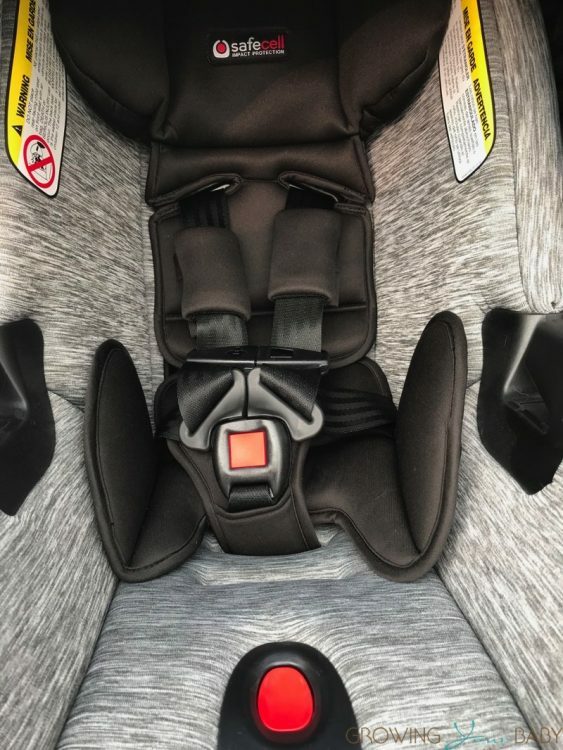 Out of the box, the seat comes ready to go all you need to do is install the base in the car and adjust the harness to your baby’s height. I will even go as far as saying this all can be done on the morning you bring the baby home – it’s THAT easy to do. Because both pieces of the car seat come with so many great features I will review them separately. Designed for babies from 4-35lbs, the Endeavours Infant Car Seat comes with a body pillow to cradle little ones that can be removed as your baby grows. The harness is a quick-adjust, no rethread belt that makes it easy to configure. For your child’s safety, the Endeavours comes with 2 Layers of Side Impact Protection; the foam-lined shell and head protector. Both of these elements absorb energy and shield your child from severe collisions. I love the extra-large canopy that is secured at the back of the seat because nothing is more frustrating than pulling the canopy forward to cover your child just to see there is a gap at the top of their head. 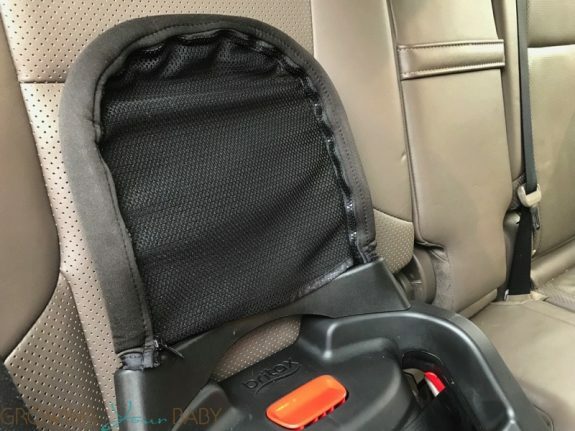 New for Britax they have added the European Belt Guide to ensure you are a safe and secure option to install the infant car seat without the base. 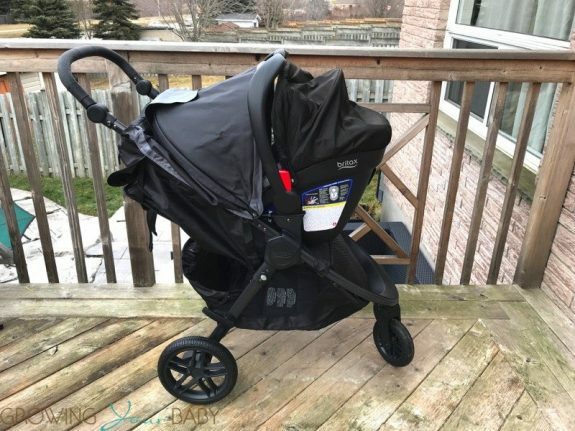 The seat also easily connects to Britax’s travels system compatible strollers for easy integration while you are out. While the seat is often the ‘star of the show’ I actually think the base is really what makes the Endeavours Infant Car Seat shine. New for Britax in their infant car seat line, they have added an. Steel Anti-Rebound Bar to reduce rebound rotation by up to 30% in the event of a crash. 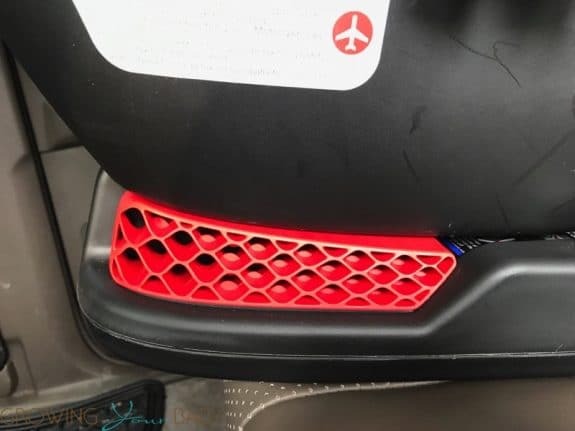 The base also has SafeCell Impact Protection(the red honeycombs on the side) which allows the base to drop down instead of moving forward in the event of a crash. The safecell technology has been integrated into their convertible and harness to booster seats for many years. The seat itself can be installed in the vehicle 5 ways; with the European Belt Path with the seat, Seat Belt path with the seat, using the base and LATCH, using the base and the shoulder belt and using the base and seat belt. This level of versatility ensures your seat can be secured regardless of where you are and the type of vehicle you are riding in. The BIGGER question is. 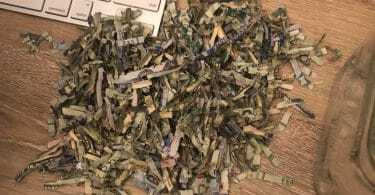 Is it installed correctly? The Spring-Assisted Recline and Dual Level Indicators give you that information quickly. We love this seat and we also love all of the great features Britax has packed into it. As their technology increases so do your child’s safety. For more information please visit Britax’s site.